Base of Thumb Osteoarthritis What is it? 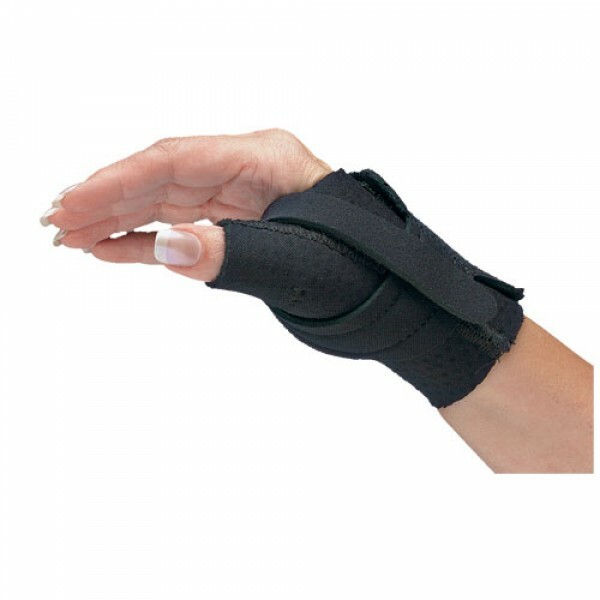 Osteoarthritis of the base of the thumb (Carpometacarpal or CMC joint arthritis) is a very common condition which commonly affects postmenopausal women and women over the age of 50 years. 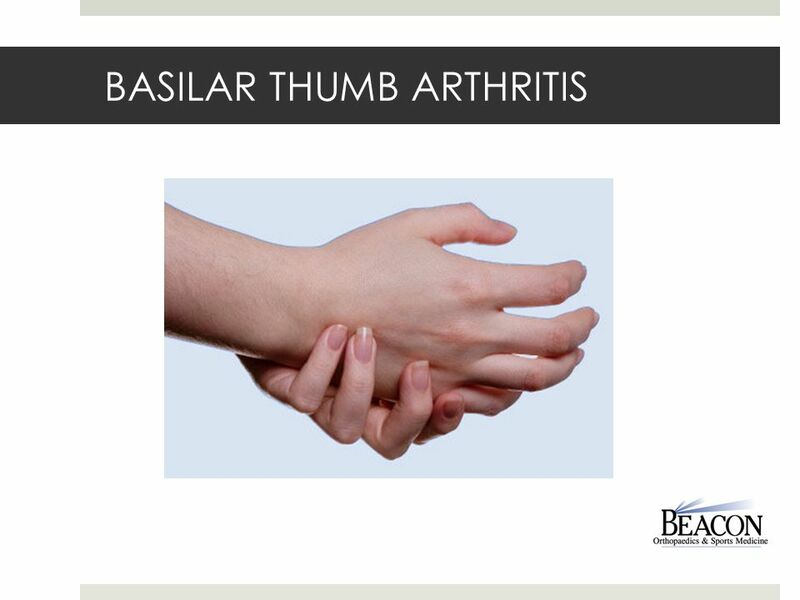 Basal joint arthritis is the result of the wearing away of cartilage in the joint at the base of the thumb. That�s why it is also known as thumb arthritis. 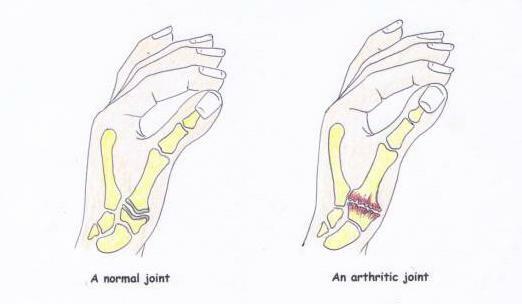 Arthritis is a condition that irritates or wears down a joint. Thumb arthritis occurs when cartilage wears away from the ends of the bones that form your thumb joint.